Oh my goodness how good are these Halloween decorations?! I’m thinking if I had a Halloween backdrop on my actual lounge wall I’d be the Queen of Halloween! 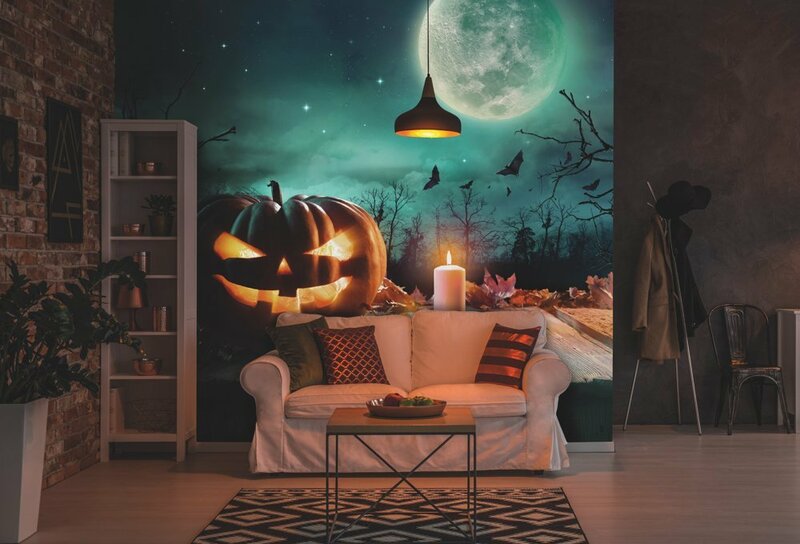 These amazing made to measure Halloween wall murals would elevate any Halloween party to a whole other level. Just perfect for creating a super spooky ambience. Especially loving the idea of the removable self-adhesive option! 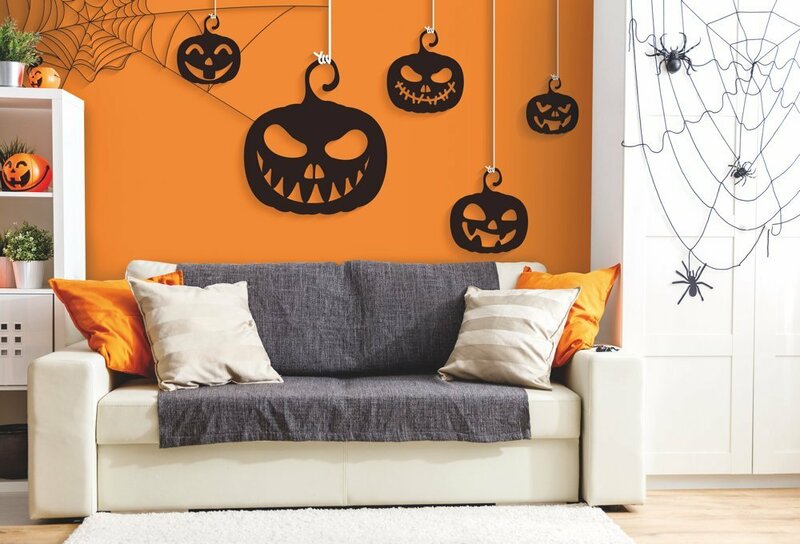 Peel & Stick, a removable self-adhesive material (perfect for Halloween) that costs £36 per square metre. Disclosure – not a sponsored post I just really like these quirky Halloween murals.